I was never involved in organized sports as a child so I haven’t had much experience with awards but since beginning this blog almost seven months ago; a soul-sharing leap into the vast expanse of cyber-space wondering if anyone would find it much less read it or like it, I have been honoured with two and now three Reader Appreciation Awards. I am understandably thrilled, excited, grateful and humbled that my words have 1. been found, 2. been found interesting enough that people have chosen to follow me, and 3. been found worthy of being honoured as a reader’s favourite. 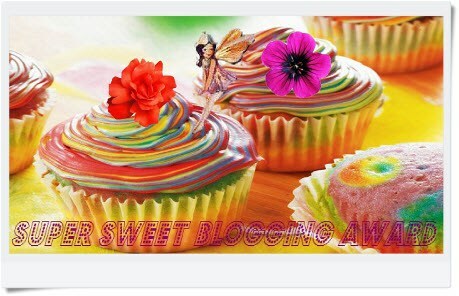 Thank you to LifeBeam for this most recent Super Sweet Blogging Award. LifeBeam’s is a kindred blog; combining her photography with inspirational messages. If you haven’t visited her site yet, it is a definite destination for all things uplifting. The Super Sweet Blogging Award comes with a few tasty strings attached. Give credit to the person who chooses to nominate you. Cookies or cake? Hmmm, that’s a tough one. Whichever is in front of me. Chocolate or vanilla? Chocolate. Next question? My Baker’s Dozen in no particular order. These bloggers add to the richness of life and I enjoy savouring their posts. Thank you again to LifeBeam for honouring me with this award. It means more than you can know. And thank you to those who have chosen to follow me over the past seven months. To me, each click of the ‘follow’ button is a win in my books. Imagine my surprise as I opened my notifications a few days ago to find that two wonderful and inspiring fellow bloggers, Metaphorical Marathons and Women Making Strides, had selected my blog as their choice for a “Blog of the Year 2012” award! WOW! I have only been blogging for four months so for anyone, let alone two people, to find my blog worthy of such an honour is astounding! I am very appreciative and thankful. This award means a lot to me. According to the author of Women Making Strides, here are the rules governing the award. In her Metaphorical Marathons blog, the author poses questions for her pay-it-forward award winners to answer. I like that, for most of the time anyway, I keep looking forward to the possibilities that lay ahead instead of dwelling on past failures. I look at failures as learning experiences from which to grow. If my kids have been away for a while, I get giddy with excitement as I’m driving to meet them. They are the bright stars in my life. What’s your favourite place or part of nature, and why? Walking a trail in a forest on a clear crisp Fall day. Everything smells so fresh. The birds are singing, the squirrels are scurrying up and down trees, and the leaves beneath my feet are crunching as others drift slowly to the forest floor creating a beautiful carpet of oranges, rusts, reds and yellows. It’s both peaceful and rejuvenating. What is the one thing you really want to learn how to do? I would really love to learn how to take professional quality photographs. I would be myself at about age twenty and I would convince myself to take the trip to Europe that I had considered but never took. What would like to be known for? Name one challenge you have overcome and from which you have grown. Name one place you have never been but would like to go. Congratulations and keep blogging positivity! If not mine, why not someone else’s? 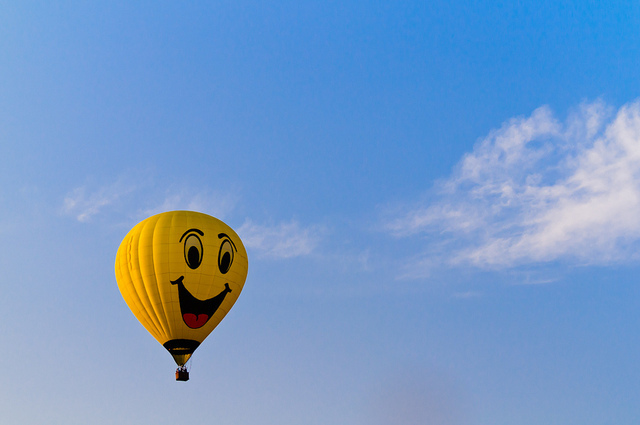 Has anyone ever said something to you that immediately lifted your spirits? Likely, so you’ll understand how I felt in the following situation. I am a 40-something woman and my hair is its natural colour – grey. These women have gone on to tell me that they have been thinking of letting theirs go grey and after seeing mine, they are convinced that they want to go through with it. I am complimented beyond belief and when we part, I walk away feeling a little bit taller, somewhat proud, definitely happier, which in turn makes me more pleasant to the next people I meet. I have had a few others strangers over the years say the same thing and it always comes at a time when I am seriously considering dyeing it. Their unprompted comments give me a boost and literally “make my day”. The kindness of strangers has a particular power that the kindness of friends or family does not. We are suspicious of compliments from the familiar people in our lives. They’re only saying that because they feel they have to. They don’t want to hurt my feelings. However, if a completely unknown-to-us person, a random individual, goes out of their way to tell us something, then it must be true and no matter how many others have told us the same thing, we can finally believe it. One day, my mid-teen son and I were in a local sandwich shop and we were served by a young man in his late teens/early twenties – an employee, not the owner. In fact, the owner wasn’t even on-site – I know because I frequented this particular shop. Also, I had never met this young man before. We received enthusiastic, polite and pleasant service for the entire time that it took him to make our order and cash us out. Barely outside the door, my son commented on what a nice guy he was and what great service he gave us. We both remarked that you don’t often get that kind of service and I noted that he should keep that in mind when he begins working. He agreed that it definitely made a difference in our experience. My son witnessed customer service at its best, we discussed its benefits and I hoped he filed it away for future use. I had done my job. I could have left it at that – but I didn’t. The next week when I went in to pick up a sandwich for lunch, the owner was there. I asked to speak to him. He stepped aside with a worried look on his face. This was an unusual request from me. What was I going to say? What was I going to complain about? I started off by telling him that my son and I had been in and two young men were working the counter and he was not on-site. The look of worry increased. Then I went on to sing the young man’s praises. Worry was replaced with relief and then pride. I had made his day – and I hope, reciprocally, the young man’s. We don’t hesitate to complain about bad service so why don’t we also praise great service? Who knows, the manager may be looking to advance an employee to another level, or it may be review time and your comment could end up meaning a salary increase to someone who desperately needs one. We don’t realize the power of our words – a stranger’s unbiased, therefore they must have some truth to them, words. So the next time you get great service, make sure the manager hears about it. And when you see a stranger in the check-out line, on the bus, or in an elevator and you think “What a beautiful coat”, “Nice shoes” or even “Great hair!”, tell them. Go ahead. Make their day. Share your ‘make my day’ experiences below. *This post was written before my resent Liebster Award nomination. Talk about making my day!! That’s the way I feel about it anyway! I signed on to my computer Sunday morning and the first message I opened was from a lovely young woman with a spirit that exceeds her physical being. I met her in cyber-space only a short time ago. She is on a journey toward positivity and she is well on her way achieving her goal. We have exchanged comments, exchanged ‘likes’ and she has graced me with the honour of following my blog. As a new blogger, this is something very special. I don’t know how she found me but I am glad we have met. I eagerly opened her message to see which of my posts she liked and what her comment would be. I value her feedback – always positive and encouraging. To my surprise, shock and sheer delight, the message read: “Just nominated you for an award peach!”. Really? Me? Wow! How nice! …what’s an award peach?? I followed her instructions to check out her post for more details. It turned out that she had been nominated for a Liebster Award and part of her requirements were that she nominate eleven other bloggers whose followings are under 200 and to whom she is to then pose eleven questions. I was thrilled to be one her chosen group. I have only been blogging for six weeks so for her to think that I am worthy of such a nomination is humbling. And upon further investigation, I realized that she wasn’t nominating me for a peach award but instead for a Liebster Award too! A Liebster (German for ‘dearest’ or ‘favourite’) Award is a blogger-to-blogger award. A chain letter of sorts. One blogger receives the award and then nominates their favourite bloggers. There is no actual winner among the nominees, which was what I had first assumed but rather the ‘being nominated’ was equivalent to receiving the award. She had chosen my blog as one of her favourites! A search for the rules that accompany the award have turned up various findings. It seems the blogs must have less than 200 followers (although some posts say 3,000). Some rules say you should nominate eleven other blogs and some claim only five. Some say that you need to provide eleven details previously unknown about yourself then answer eleven questions posed by the nominator, while others say five details and five questions and some say no such thing. Since there seem to be no hard-and-fast rules, I will do a combination. I will answer the eleven thought-provoking questions posed to me. I choose not to give out random facts about myself. Instead I choose to retain some privacy since the answers to these questions and my postings will likely reveal more about me that I realize anyway. I will nominate four of the blogs that I am currently following. I would nominate all seven but three already exceed the ‘number of followers’ stipulations. (Some of these four may too but I couldn’t see their numbers so I’m nominating them anyway). Again, as a newcomer to this venue, I have not explored its depths. I follow and select those whose messages I feel support my philosophy and I am sure with time, my list will grow. To my four nominees, I will pose seven questions – because that’s all I can think of. If you could go one place right now, where would you go? That’s easy and hard at the same time. The easy answer is Europe – anywhere in Europe. The hard part is, where specifically in Europe? Sometimes I imagine going to the airport with my passport, a small suitcase packed with clothes that I can layer depending on the weather and a credit card (with money in the bank to cover the charges). I would then walk up to the international departures board and buy a ticket for next European destination – my starting point from where I will branch out and explore. Watch romantic comedies with a bowl of popcorn or potato chips. Hmmm…tricky. There are so many to choose from. I love purple flowers. In the spring, it’s lilacs but then again seeing the tulips pop up seems rejuvenating. In summer, phlox is lovely. In the autumn, I’m drawn to airy asters and deep dark purple mums. To purchase a bouquet, I tend toward alstroemeria but gerbera daisy are quite attractive too. What do you most like to do whilst with friends? That’s easy; meet for tea and a bite to eat so we can catch-up and chat about the events in our lives. I treasure those times. When listening to music, which track do you have on repeat right now? I don’t often sit and listen to music and having music on while I’m working can be a distraction for me especially if it is music with lyrics. Having said that though, if I choose to listen to music while I’m working, I sign on to www.sky.fm and listen to the Smooth Jazz feed. I find it uplifting; it has a beat that keeps me motivated and it is instrumental. On the occasion that I put on a CD while I’m doing something, I often reach for Jamie Cullum, Michael Bublé, John Mayer or Diana Krall. Writing is a creative outlet for me. I am finding that writing this blog has helped me develop my voice. I am taking the time to explore ideas that I have been noodling with for quite a while. It is giving me confidence in my abilities as a writer. I have partially answered this with the previous question so I’ll expand here. My hope when starting my blog was that I could provide a place where people could go and be assured of reading something positive – a contrast to much of the media that swarms around us on a daily basis. A place that would encourage self-reflection and perhaps spark changes for the betterment of our world. Grand goals, especially not knowing how this blogging stuff all worked. I am fairly new to blogging and I have been surprised at how excited I am about the process. Getting responses and follows from people who I have never met is uplifting. I am encouraged when I look at my stats page and see from where in the world people are linking in with me. I find that fascinating. It is giving me hope that there are others out there who, like me, believe that we need to be projecting positivity. Writing about positivity and having people like what I write is actually making me even more positive so you can imagine how I felt to be added to this list of nominees! Very interesting question. The first thing that came to mind was a monkey, then a dog but I think (and I’ve never really thought about this question before and may come up with a better answer later) I would like to be a dolphin. They are intelligent creatures, fun, playful, and seemingly free and I could spend my days swimming and traveling long distances. One of my bucket list items is to swim with dolphins. What was the first thing you did when you got up this morning? After the routine hygiene stuff, I went downstairs, popped in a dvd and followed Rodney Yee as he guided me through a yoga routine. I’m half-way through my 30-day challenge, and loving it! George Clooney, Gerard Butler or Johnny Depp? Haha! Wow, you really ask some tough questions… Hmmm, George Clooney, Gerard Butler, George Clooney, Gerard Butler…I would have to say Gerard Butler solely based on his character in P.S. I Love You. I don’t know if he is anything like that in real life but I’ll take the movie character version. Thank you again for nominating me. This has been a lot of fun. Love and Happiness to you! 1. To where have you traveled that you would like to return? 2. Where or when are you the most happy? 4. What advice would you give yourself if you could go back ten years? 6. What is your favourite indulgence? 7. Name one thing that you learned last week. Please take the time to visit the other bloggers and websites that I am following. I think you will agree, they are all Positively inspiring!